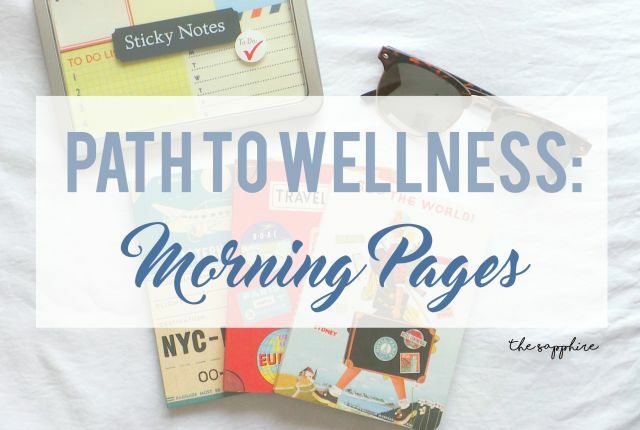 Morning pages is as simple as the name sounds. Every morning, you grab a pen and notebook, and write until you have filled three pages worth of writing. Though in some ways it’s similar to keeping a ‘morning diary’, this practice forces you to literally brain dump everything that you have on your mind at that moment, and start the day anew without so many thoughts bottled up in your brain. Brain dump. Any worry, concern, or negative thoughts that you may have, materializing them on pen and maker will lift a weight off of you for the rest of the day. Writing is therapeutic. Especially if it’s done by hand. 3 pages every morning will give you a push to get going with your awesome day. I have found this quite easy to implement into my life, partly because it’s just adding another positive thing to my morning routine, and because I’m not going to school at the moment. I do this right after I’ve done Duolingo (language-learning app), read the news, and gone through 2-3 chapters of the book(s) I’m reading. Though I have started by just writing 2 pages, I’m slowly building up to 3 pages. It takes me about 15 minutes (tops) to finish this activity. As silly as it sounds, I found it helpful to have a cute notebook to write my morning pages in. Luckily, I happened to buy a set of 3 vintage notebooks a few days before I started this practice, and I went ahead and got started on the lined-paper notebook. The key thing is that you do it during, or right after something that you already do every morning, so that you associate morning pages with… getting out of bed / breakfast / meditation. If you’re not very much into writing by hand, I suggest you start with 1-2 pages, and gradually build up to 3 pages. This is the best method you can use to introduce this practice into your life and make it part of your morning routine. I hope this article was helpful to you, and good luck!